The Scandal Italy Esme Cap Sleeve Sweater is an adorable little knit top. Boxy cut for wearing with any cute pant. 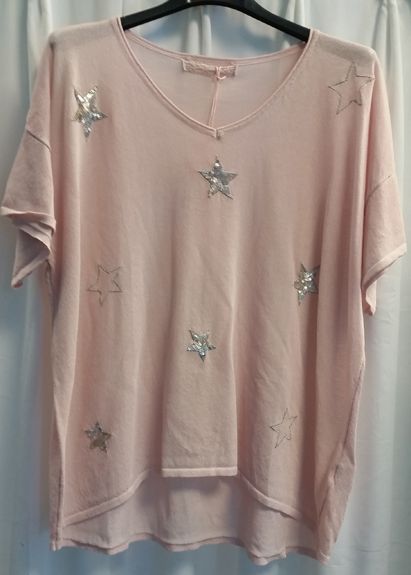 Adorned with sequin and silver stitched stars on the front for a bit of bling. Drop shoulder with cap sleeves. Done is the softest shade of pink. Perfect with the Scandal Italy Free Pant in Blush. Made in Italy.